Amazing Toenail & Fingernail Fungus Home Remedy! Hello, I have another healing story remedy for everyone. I have had many people come to me wanting to know how to get rid of toenail and fingernail fungus without getting expensive laser treatment. We have had great success with Vix VapoRub applied twice daily, once in the morning and once in the evening, for about a month or longer, depending on the severity. And it works amazingly well! I helped a lady that had a severe case of fingernail fungus that she couldn't get rid of. Her fingernails were starting to get deformed and the doctors said she needed laser treatment and that there were no other options out there. 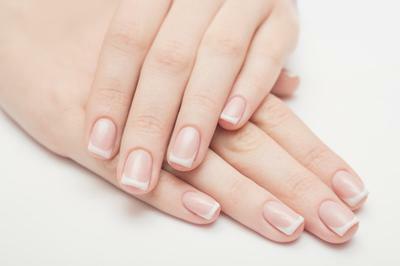 She started the Vix VapoRub treatment and it restored her nails beautifully back to normal. We have also had it restore a few bad cases of thick yellow deformed toenails from nasty fungus back to normal as well. It works by softening the nail and allowing the menthol to absorb and work its way in to kill the fungus. There are many good treatments on here but I didn't see this particular remedy so I wanted to share my success with it. Comments for Amazing Toenail & Fingernail Fungus Home Remedy! Nice one Jason. Thanks for sharing your tip with us! Thank you very much for the information about using Vic's for nail fungus. I started to do the treatment as suggested and to my amazement my new nail is growing normally and the rest of the nail has lost its yellow colour. It will take a few weeks until my new nail finishes growing but I am most impressed. Vic's is a Fast Fix for Colds and Flue Symptoms as Well! Hi, having used Vicks VaporRub successfully for toenail fungus, it occurred to me to rub a little under each nostril at the first sign of a cold or flue. I found if I did it at bedtime I was clear of all symptoms upon waking the next morning. Also, when used during flights or visiting Hospitals it acts as a great preventative so you don't pick up any germs or bugs. I used tea tree oil for a period if time and it was healing pretty slow. Then I tried Hydrogen Peroxide and it started healing faster. Peroxide doesn’t have the odor like tea tree oil. I am so thankful for my healing.